Whenever I visit my in laws, I have to take a trip to New Orleans. I have to say that I miss New Orleans’ cuisine more than anything. My favorite place to dine is Cheesecake Bistro. I miss it’s Spinach and Artichoke dip. 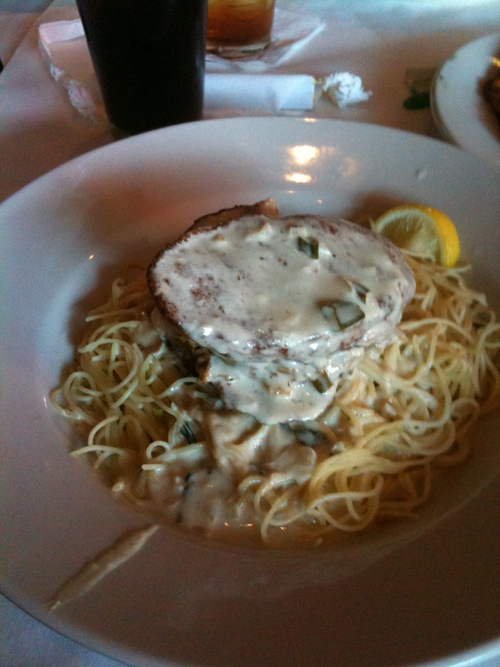 I have not found another restaurant that is comparable to Cheesecake Bistro in regards to food or the size of it’s menu. Massive selection, I tell you. Cheesecake Bistro was originally called Straya’s. I went to my Prom dinner with a group of 20 at Straya’s. Very memorable evening in my life. A bit more info on this place: it’s late owner is Al Copeland, the restaurateur who created Popeyes Chicken franchise. 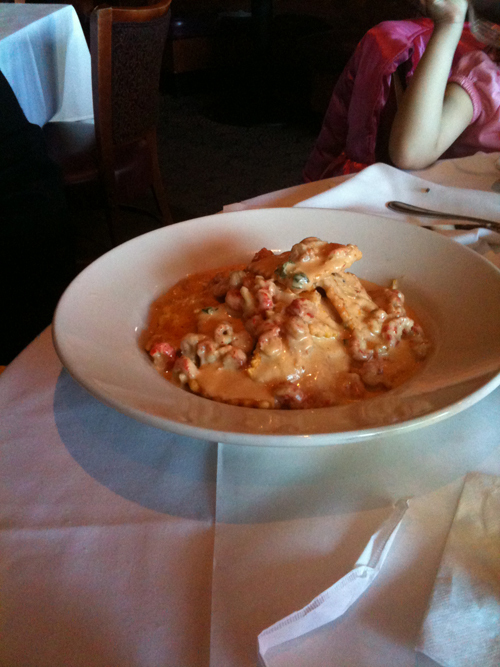 My husband had the Crawfish Ravioli. My usual: Stacked Eggplant Napoleon. If any one is in the New Orleans area, give this restaurant a try. They also recently started a Sunday Brunch Buffet deal with live music. I haven’t had time to experience this yet but hopefully one day.